Individuals and businesses choose to sponsor equestrians for many reasons, but no discipline can compete with the sheer athleticism, bravery and heart of event horses and their riders. A desire to be associated with this growing participant and spectator sport, an appreciation of the incredible feats these horses and riders accomplish prompts businesses and individuals to make sponsorship investments. Sponsorship arrangements vary and include everything from partial or full ownership of a horse, to funding for specifications, to monetary contributions in support of the competition horses. Businesses contributing goods or services are rewarded with excellent exposure through association with one of the highest profile riders competing today. 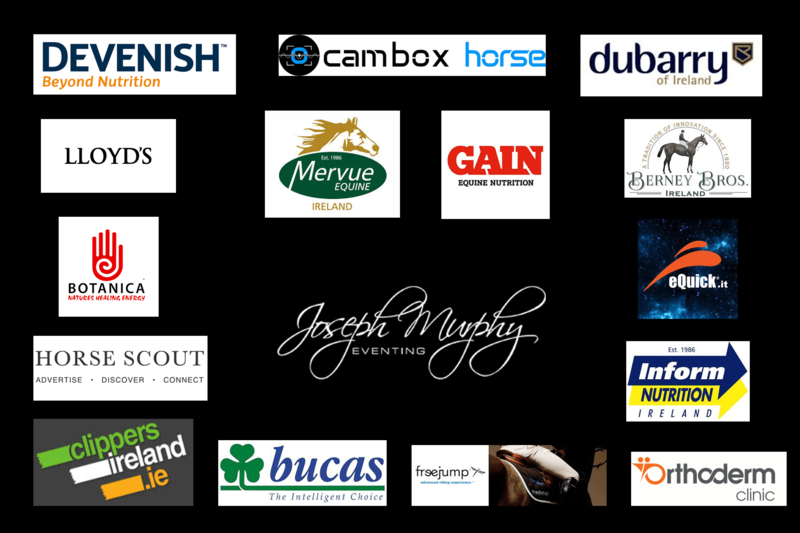 Joseph’s participation in signings, advertisements, promotional events, trade shows, charity events, seminars and course walks. Product endorsement and publicity – saddle pads, banners, equine transport logo and web site link. Opportunity to host Joseph as a motivational speaker. Exposure to a highly affluent, upscale audience involved in a growing sport. Positive association with one of the most successful riders and string of horses competing today. Partnership with an extremely motivated, attractive, intelligent and personable athlete. Economical and effective per impression value for your marketing investment.